MOVE-IN READY THREE-BEDROOM HOME ON A CUL-DE-SAC IN THE MEADOWS. STEP INSIDE TO A SPACIOUS FAMILY ROOM WITH VAULTED CEILINGS THAT IS OPEN TO THE OVERSIZED DINING AREA. THE EAT-IN KITCHEN INCLUDES A TILED BACKSPLASH AND EASILY ACCESSES THE INDOOR LAUNDRY ROOM WITH STORAGE. THE MASTER SUITE FEATURES A GARDEN TUB/SHOWER, LARGE VANITY, AND WALK-IN CLOSET. 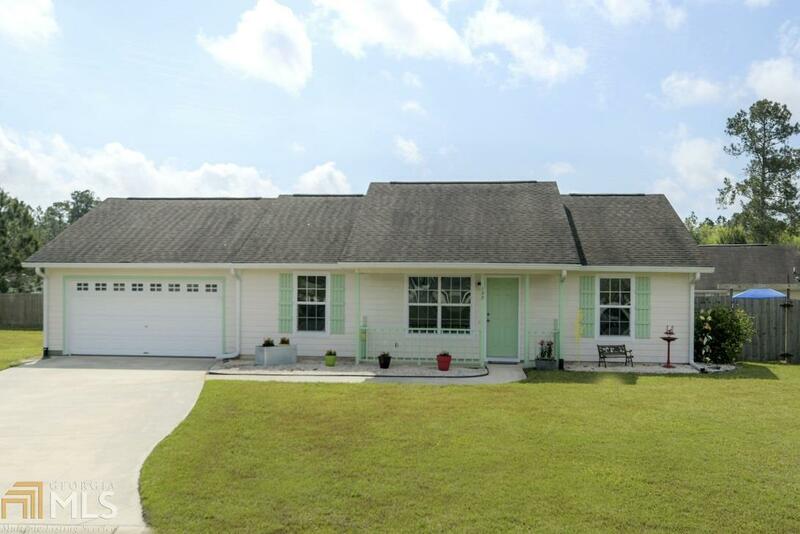 THERE ARE TWO ADDITIONAL BEDROOMS AND A FULL BATH ON THE OPPOSITE SIDE OF THE HOME. THE LOW-MAINTENANCE CONCRETE SIDING EXTERIOR FEATURES A PATIO IN THE PRIVACY FENCED BACKYARD. THE YARD IS MUCH LARGER THAN THE FENCED AREA SO THERE IS ROOM TO EXPAND. THIS HOME IS EASY TO SHOW OR SEE- MAKE YOUR APPOINTMENT TO SEE IT BEFORE IT'S SOLD! Directions: From The Meadows Entrance On Hwy 40, Turn Left Onto Woodbridge Road. Follow Near The End And Turn Right Onto Sugar Maple Way. Home Is On The Right In The First Cul-De-Sac. Look For Sale Sign.